It makes more sense than ever to put some Android apps on you laptop. As well as giving you access to apps that have no desktop or web equivalent (like Snapchat), it's great for playing games on the big screen - we got Alto's Adventure up and running on the Pixelbook with no problems, and plenty of other games would benefit from the extra screen space too. It's also a boon for apps that can make proper use of a keyboard, like Word or Evernote, dramatically improving your typing rate. Or forapps that benefit from the extra precision of a mouse and trackpad - think SketchBook or Adobe Photoshop Sketch. Any app that's ever frustrated you on a smaller screen can work well on a laptop or desktop. Most of these apps are perfectly happy running on multiple Android devices too, so all your stuff gets synced over fairly effortlessly once you've signed in with your Google account. There are exceptions, like WhatsApp - which really needs a phone attached to work - but most apps will be fine with having your laptop registered as another device. Whatever app you choose, there are a growing number of ways to get them on your laptop. 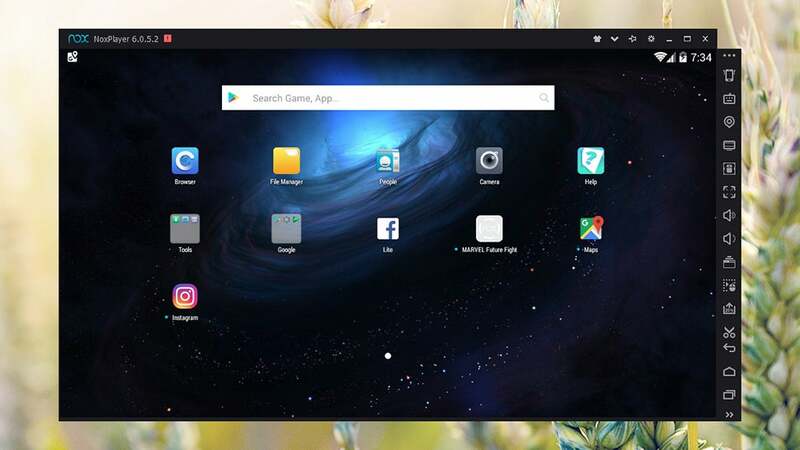 Bluestacks for Windows has long been one of the best Android emulators out there for desktops and laptops, and is still one of the top choices. It's focused primarily on gaming, but you can use it to run any kind of Android app you like. A macOS version does exist, but it seems to have been discontinued, so your experience with it will vary. With the software downloaded and installed, you can browse through games on the Google Play Store straight from the opening splash screen or via the System app folder under the My apps heading on the left. For anything you can't find, you need to click Home then Install APK and point Bluestacks towards a file you've downloaded from a repository like APK Mirror. 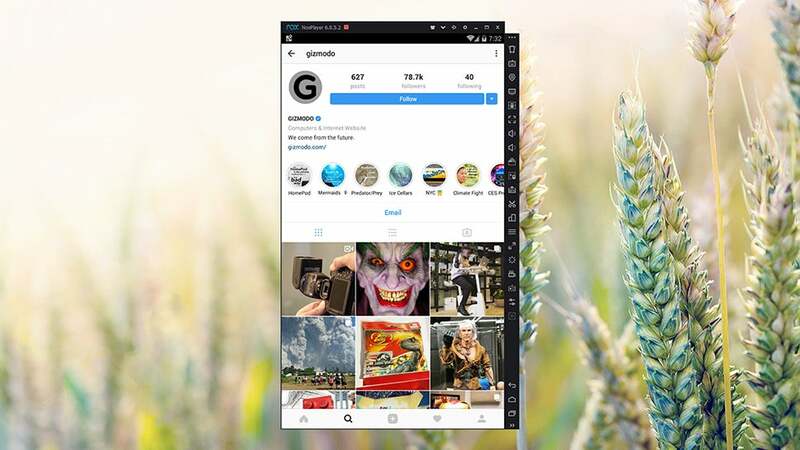 The application emulates a Galaxy Note 3 tablet running Android Lollipop, which is now four years old, so anything that won't work on that device is going to struggle here too: We got Spotify running, for example, but couldn't get Instagram to function. You certainly can't fault the app in terms of ease-of-use and layout, with all your apps neatly laid out and new ones just a click away. Bluestacks comes with a bunch of useful features too, like a full-screen mode, keyboard control support (where available), an integrated screenshot tool, and the ability to set your location manually (just so Android doesn't get confused about where you are). It's the slickest emulator experience on Windows, certainly as far as games go. 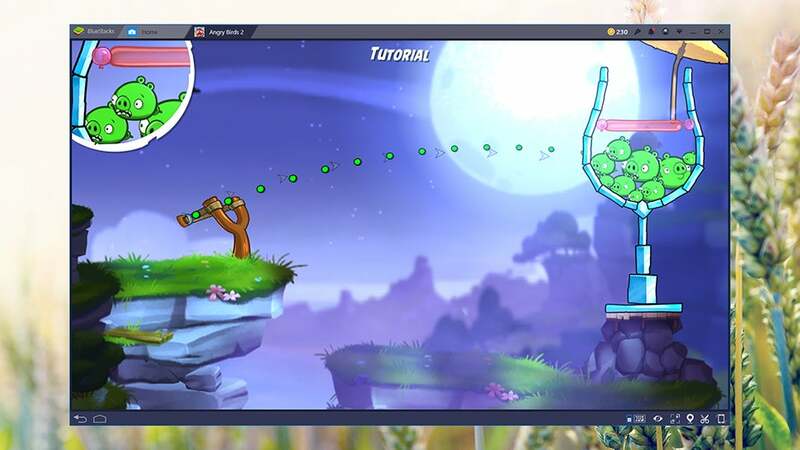 NoxPlayer for both Windows and macOS matches Bluestacks pretty much feature for feature, but is even faster and more intuitive to use. Again, you get full access to the Google Play Store so you're not reliant on loading in APKs from third-party sources. The interface is slick and easy on the eye, and we had no problems getting the emulator up and running. 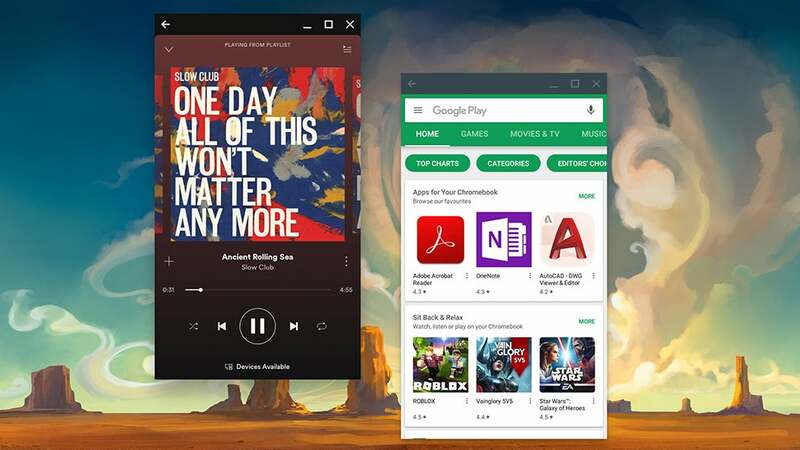 When you've opened the software, just head to the Play Store app in the Google folder and pick the apps you want to use: This time we could run pretty much everything we tried, including Instagram, so if you want a little floating Instagram window on the side of your desktop, NoxPlayer fits the bill. 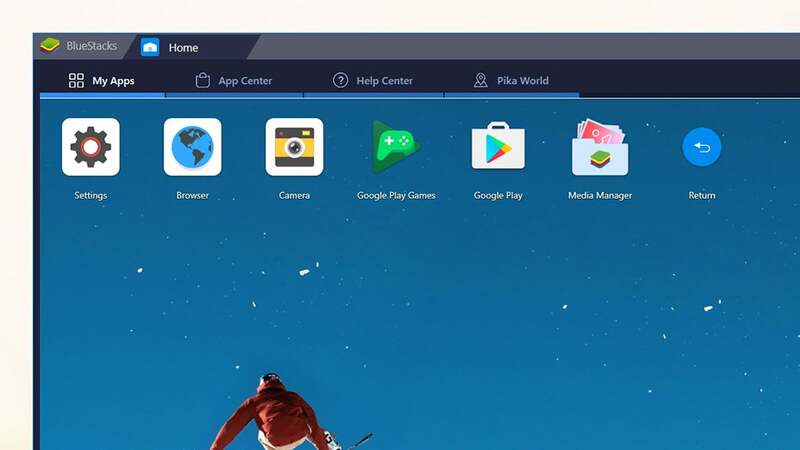 Like Bluestacks, you get plenty of handy features for managing Android apps on a computer, like options for tweaking mouse and keyboard input commands, a built-in screenshot tool, and a full-screen mode. You can even transfer files between your computer and your virtual Android device, as well as run multiple instances of Android apps if you need to (for different user accounts, maybe), which Bluestacks can do as well. You're still on an older version of (virtual) Android (Lollipop) but you should find most of your favourite Android apps working in the Nox Player. Click the cog icon (top right) to set the application options, including the graphics rendering mode, how much of your system resources it can use up, and the default resolution. Android app support is now rapidly improving on Chromebooks, and you can check out the current list of Chrome OS machines that can run apps from the Play Store here. To give you an idea of how well Chromebooks currently run Android apps, we'll detail the process as it stands on a Google Pixelbook. 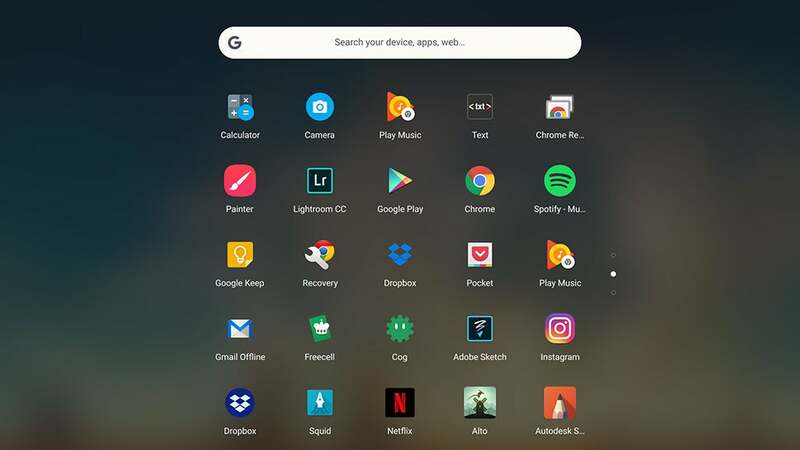 The Google Play Store appears just like one of your Chrome OS apps, and because you're already signed into your Google account on the Chromebook, you can jump straight into the apps - browsing and installing them works just as it does on any Android smartphone. One annoying result of this integration is that clicking on an app link on the web fires up the Play Store app rather than opening the Play Store site, and that's not always going to be the behaviour you want (you can get around this with an incognito window, but it's still not ideal). Despite a few imperfections and glitches, the experience of running Android apps on Chrome OS now feels much more polished than it used to be. You can drag around individual windows, minimise them to the app shelf, and even make them full-screen (though apps that haven't been optimised for tablet use might struggle with this). It's getting rarer and rarer to find Android apps that won't work on Chromebooks, although occasionally glitches can happen. Apps update automatically in the background, just as they would on any other Android device, and on most Chromebooks you now have the choice of touchscreen or even stylus input as well as using your keyboard and trackpad (which can be clunky depending on the app).